The showdown to the 2018 RXAUS.com.au Australian Rallycross Championship will bring 30 cars to Winton Motor Raceway in Victoria this Saturday. In a spectacular one-day show, bumper fields will take to the high-speed circuit near Benalla for a championship-deciding day across several classes. Several new names will make their RXAus series debut this weekend while new categories will add new and exciting racing to the full-day of on-track action. The bumper field is spread throughout multiple classes; Headlined by the fire-breathing Open class cars and backed by strong competition throughout All-wheel-drive Production, two-wheel drive Production, under 1.6 litre, Aussie cars and a brand new entry-level class called the RXAus Sprint Series. 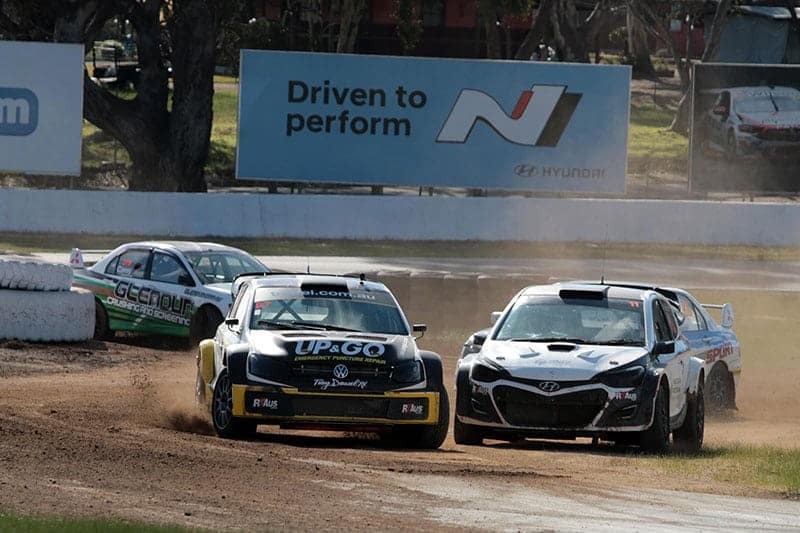 The debut of Side-by-Side (SXS) racers in local rallycross competition will also be a highlight, with four entries from the Australian Championship to make their RXAus debut this weekend, running in a stand-alone class. 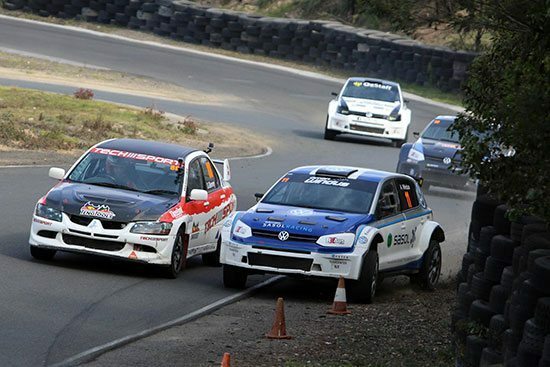 Meanwhile, the debut of the RXAus Sprint Series features Autocross-specification cars competing against the clock, with two cars on track at the time. It serves as an entry-level ‘taste test’ to RXAus competition and has been strongly received ahead of this weekend’s event. Entries, priced at just $150, remain open for the Sprint Series event this weekend with drivers of all qualifications and everything, including road-going vehicles eligible to compete. While the open-class title is out of reach for those entered, competition is expected to be fierce between 2017 champion Justin Dowel (UP&GO VW Polo), double 2018 round winner Arron Windus (Hyundai I20) and his rally-winning Dad, Darren (Hyundai I20). Justin’s son Troy, who is currently undergoing chemotherapy for Leukemia, will not compete however cannot be beaten for the open class championship. Cahal Carey (Mitsubishi Lancer EVO) will hope to build on his strong recent form, while joining the open class for the first time will be experienced Rally ace Marcus Walkem, who will debut his AP4-specification Peugeot for the first time this weekend. Walkem’s addition showcases the crossover potential for current rally cars to compete in RXAus competition as well as their regular discipline. Fireworks are expected in AWD Production, with class leader Steve Glenney (Techsport Evo) set to face stern competition across the day. Two-wheel-drive racer Matt Lee will step into an S2000-specification VW Polo for the first time while Richie Dalton will also drive a similar car. Ronnie Bustard, now firmly established in the all-wheel-drive class, will also feature in his Lancer Evo. Two-wheel-drive will be split across the open and under 1.6-litre class, with champion-elect Will Orders headlining the category. Hyundai Excel circuit racer Ross Allan will make the transition to RXAus competition while Bradley White, Conner McLeod, Jason Fitzmaurice, Zak Edwards and Nathan Senior will also feature. RXAus organisers will also trial a new race format this weekend. Borrowing from the ‘Nordic’ system used in several key European Rallycross series’, competitors will race three heats with grids progressive throughout the day – i.e. where drivers finish heat one they will finish heat two. 4-car grids in the heat races will also allow for competitors of a similar pace to be grouped together, promoting better racing for fans and closer competition for competitors throughout the day. Six cars from each class will then progress to the semi-final and finals to conclude the round. Tickets are available from the Winton Raceway gate this Saturday, November 10 while late entries are also available for competitors looking to compete – head to www.rxaus.com.au or contact Winton directly for more information. Action gets underway from 9:30am this Saturday.